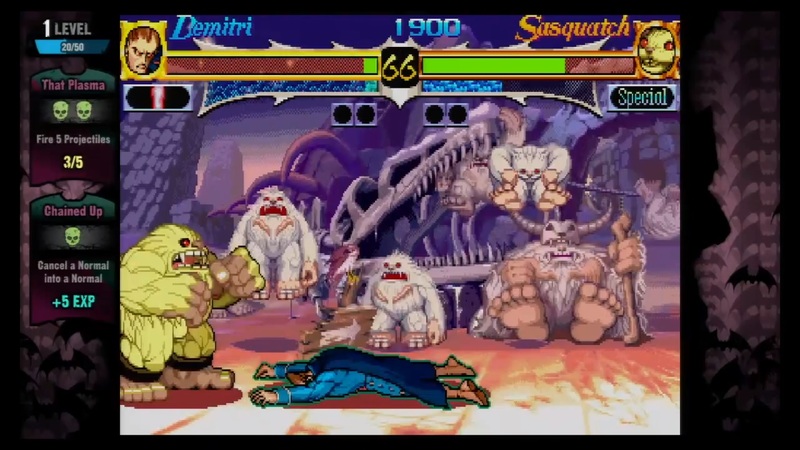 Darkstalkers Resurrection is a combination of two old Darkstalkers games mashed up as one with awesome new features. Capcom has done a good job getting those old fighting games back. Darkstalkers Resurrection has one of the most unique characters in this genre and with great gameplay. Many of the old fans might have been concerned of how Capcom would be bringing back those games to consoles after such a long time. Thankfully though, the game is a great experience and I’m here to tell you about it. I spent quite some time trying out Darkstalkers. There aren’t many fighting games that would encourage you to try out each and every one of their characters but due to my experiences with the old games I just had to with their awesome designs. When starting out in the game the main menu shows off Darkstalkers 2, but you may switch been 2 and 3 buy pressing the select/back button. 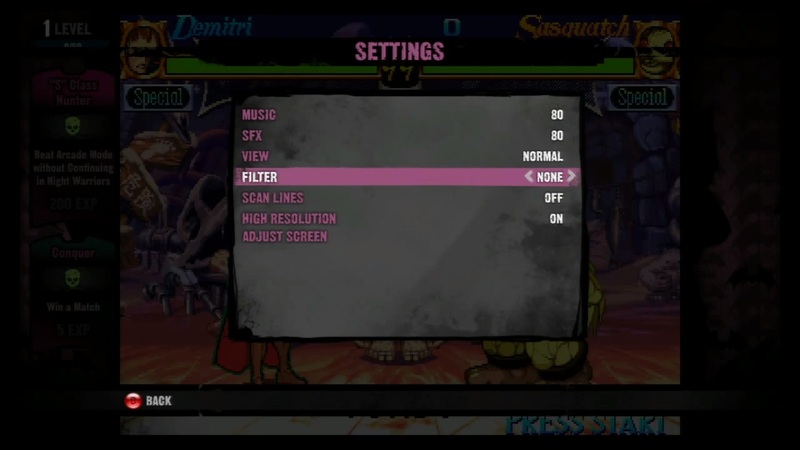 The features that were provided in the graphical options menu were the smooth and crisp graphical filters, with different options of screen view. However, the visuals were not really improved for the re-release of the game and with no effect of gameplay. One of the great additions for the new players for the game was the challenges and tutorials, which help new players learn the techniques, and different combos basically showing beginners how to make the most of the chosen fighter. Compared to the old tutorial, which showed only lists more or less technical combo this is a major step forward. Some of the cool options like showing mini challenges on the screen side bars (Like: Do your super 2 times). To make the fighting more interesting; and the more you level up the more concept art you unlock. Also one of the amazing things you are able to do is organizing fun mini-tournaments and of course: engage in the inevitable ranked matches. 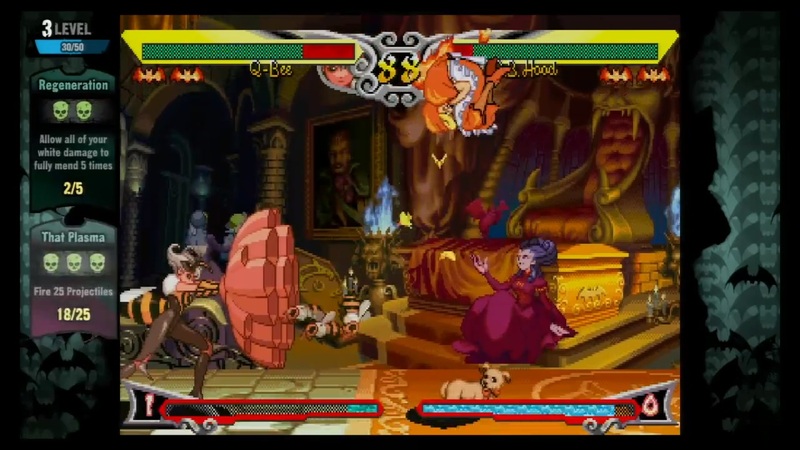 Compared to other Capcom titles in the matchmaking, Darkstalkers Resurrection is allows for a high level of customization making it an amazing experience. If you are not of the older generations and wanted to experience something new and different, try out those old school 2D fighters. You won’t be disappointed!